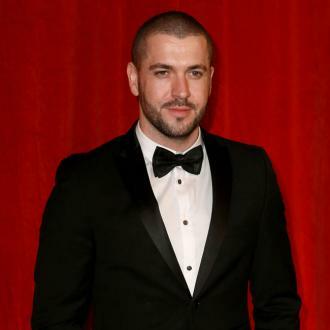 Actor/singer Shayne Ward and his new girlfriend Sophie Austin are preparing to become first-time parents. The former The X Factor winner took to Twitter on Monday night (01Aug16) to share the happy news, writing, "After much speculation I'm over joyed to announce that @sophieaustin1 and I are expecting our first child. #blessed." Sophie, an actress on British soap opera Hollyoaks, also tweeted a similar message to her followers. The baby news comes after a whirlwind romance between the 31-year-old Coronation Street actor and Sophie, after they began dating in March (16) and only went public with their romance last month (Jul16). To make matters more complicated, Sophie, 32, split from her actor husband Graeme Rooney late last year (15), just months after tying the knot in July (15).